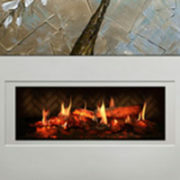 At Rettinger Fireplace Systems, we create beautiful, custom gas fireplaces in NJ from start to finish. We work closely with our customers, so our designs meet their particular needs and creative wishes. Our skilled team build them using high-quality materials and will ensure that the fireplace we install is exactly what you envisioned. 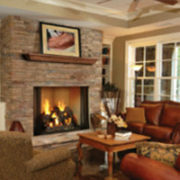 One essential element to a good-looking fireplace is the mantel. Mantels and cabinetry add a style element to the fireplace that is also functional. Partnered with a stone surround, such as marble or slate, the mantel will make the fireplace one of the most beautiful parts of your home. Adding a custom mantel and surround changes the entire look and feel of the room. With many styles to choose from, we guarantee you’ll find something you like that fits your vision. 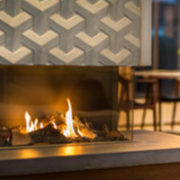 A simpler style can help the fireplace blend in while something more complex and unique will make your fireplace stand out and become the focal point of the room. We have a multitude of selections for both color and material from paint to stain and beyond. 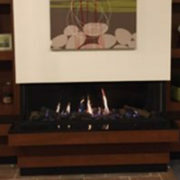 Along with the surround, the mantel provides protection to the area of the wall closest to the fireplace when it is in use. 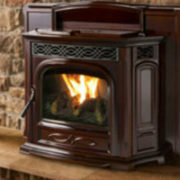 Most places have safety specifications regarding the measurements of the mantel and surround that must be met. Rettinger’s always follows the manufacturer’s specifications for proper installation, ensuring the fireplace is safe to operate. A mantel is an ideal place to display some of your prized possessions and really tie the room together. It adds an additional style that you can customize to meet the design you have envisioned. The mantel adds a whole new realm of home décor. 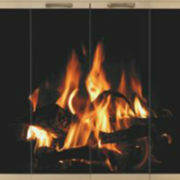 Contradictory to popular belief, winter isn’t the only opportune time to utilize your fireplace. During the summer, get the most out of it by filling it with candles, hanging a piece of art over it, or setting newly grown plants or flowers onto the mantle. 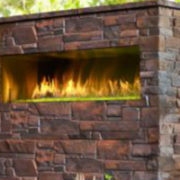 For top of the line fireplaces, stoves, custom cabinetry in South Jersey and Pennsylvania, call Rettinger Fireplace Systems at 856-213-9471 to speak with one of our representatives or browse our website to request a quote.